Makeup Vanity Ideas uses affiliate links for the great products we recommend. No makeup vanity set is complete without a mirror. A makeup vanity mirror along with the vanity stool and makeup vanity desk is a must-have for any DIY Makeup Vanity Set project. If you are on a tight budget a basic mirror will do like the example below, but if you want to light it up we are here to help! See the original post here for product details. The mirror used above is very affordable. It’s also a huge mirror you can use to take a full body selfie depending on how tall you are. So in case you are on a tight budget, this mirror is the perfect solution. To create your DIY Hollywood Makeup Mirror for your makeup vanity set you will need these makeup vanity light strips below. 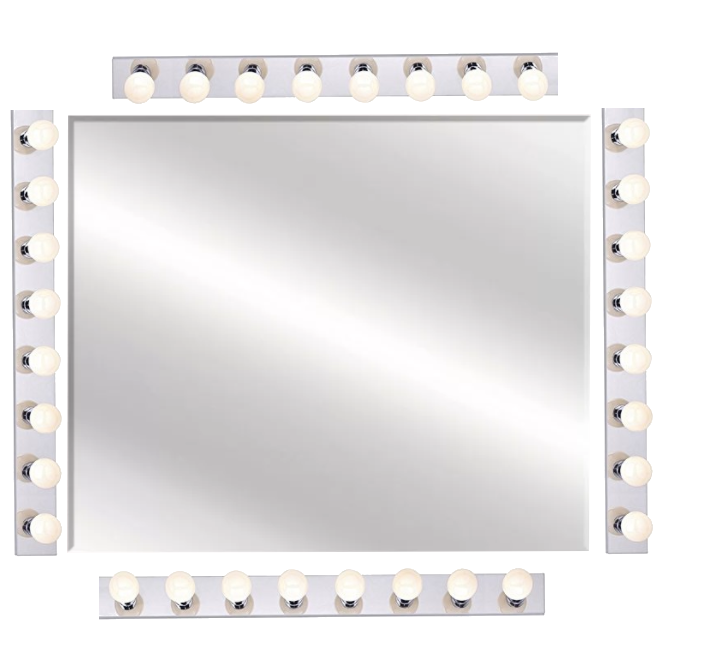 Add vanity light strips to the right, left and the top parameter of the mirror and your DIY Hollywood Makeup Mirror for your makeup vanity set project is complete! So in total, the cost of one mirror and three sets of vanity strip lights is about $120.00 if you decide to go with this idea. 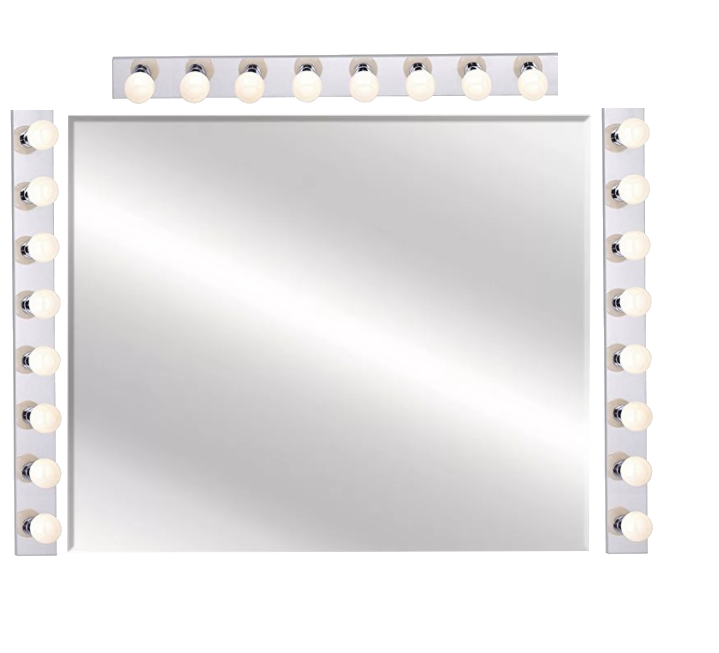 The Hollywood Makeup Mirror is $499 last time we checked so do the maths [$499-$120ish excluding tax]. Ha! that’s some serious saving your way and you are welcome! If you believe you need more lights you can add another light strip to the bottom. Why not shine like a diamond while you apply your makeup! It’s your DIY project, after all, do as you please my darlings! This is a great DIY Hollywood Makeup Mirror solution. We all don’t have the money to buy the real deal for $499 – that’s some serious investment especially for college students! But if you have it like darling $$$$ make it rain!!! and enjoy your Hollywood Makeup Mirror. However, we find the alternative to be a great option! Either way, you decide to go happy shopping! Thanks for reading and share with friends! We are a participant in the Amazon Services LLC Associates Program. Disclosure here. Visit Our Shop here.